So you want to start a food blog? Great! People ask me ALL the time for the exact step-by-step process they need to take if they want to set up their blog for success. I’ve already given you my list of recommended products and services for starting your blog, but here’s how to actually do it from the beginning! You need a web host in order to store all the files that will make up the elements of your website. 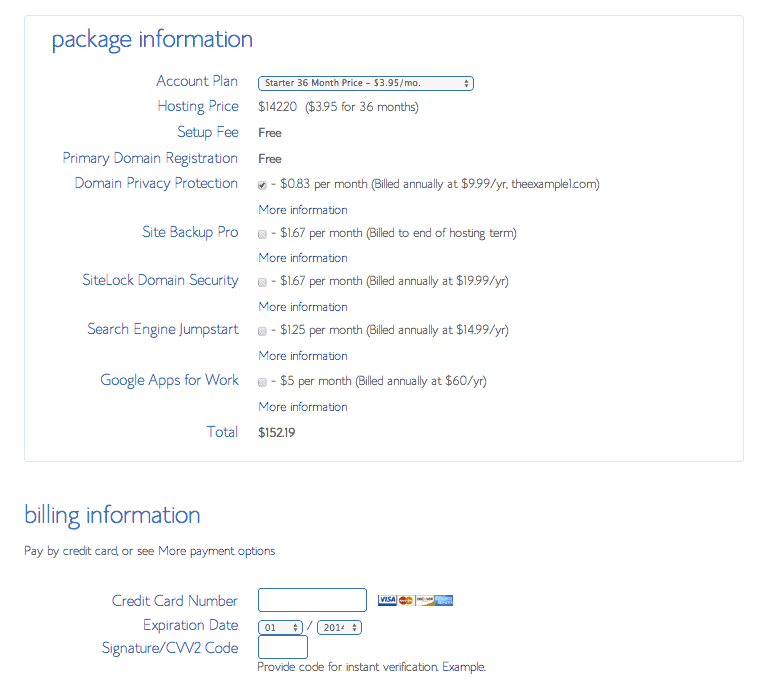 When you buy a hosting package with Bluehost, they give you a free domain so I recommend going with them. Plus their setup process is SUPAH simple! 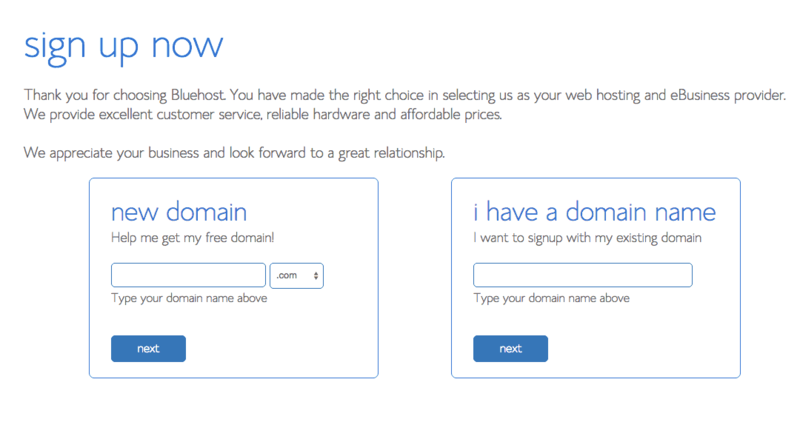 So start by going to bluehost.com and click the “get started now” button at the top of the homepage. 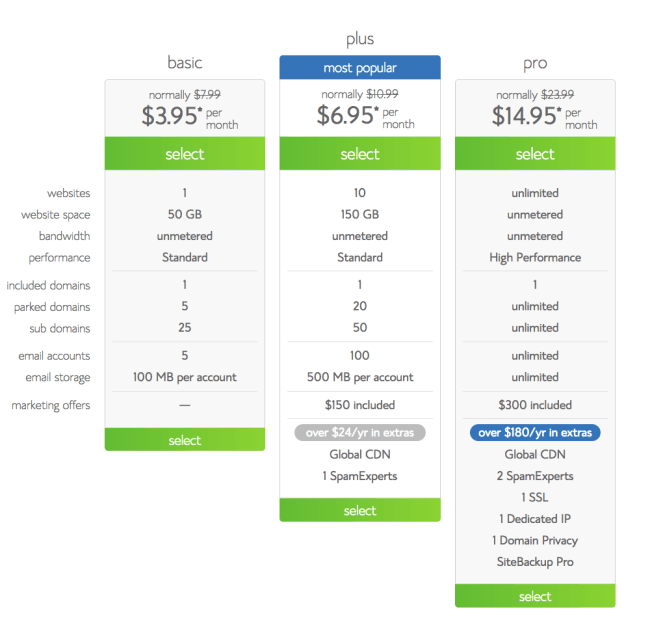 They offer a few packages you can choose from, but I recommend you just start with the cheapest plan since you can always upgrade to a bigger one later. Save yo’ money! Now it’s time to choose your blog’s URL! This will also be your brand’s title (so no pressure!). Don’t be afraid to take some time to think of the perfect name before setting it in stone. Just make sure to check its availability by typing it in the space below. 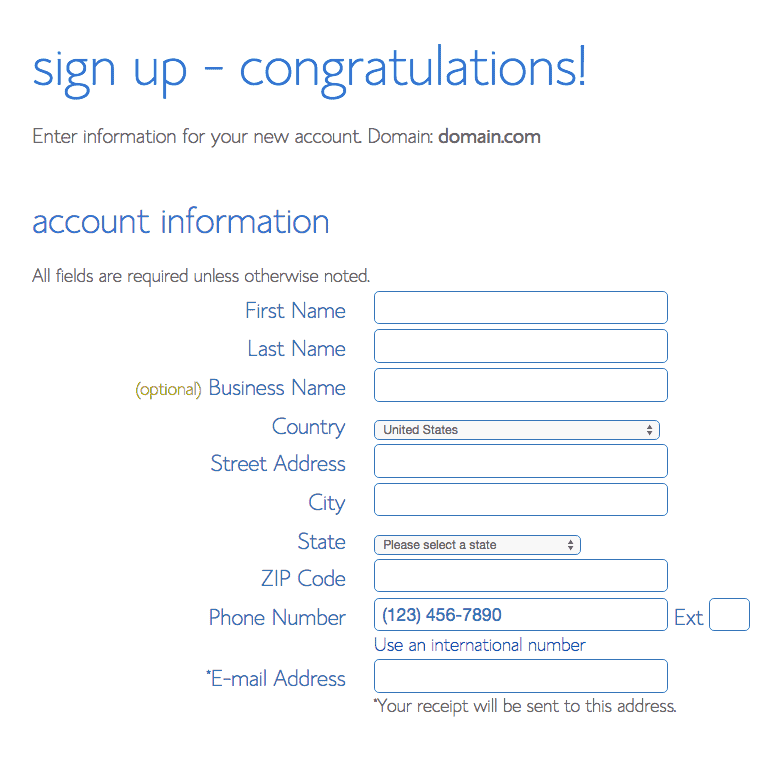 After selecting your domain, all that’s left is to fill out your account information. Pay close attention to the package section as this is where you’ll choose the length of time you want to pay for. Then you’ll simply enter in your billing information and hit “next”. You’re moving right along! GO YOU! I seriously don’t know what I would do without WordPress! It’s a life-saver when it comes to being able to update and customize your blog with the click of a mouse. 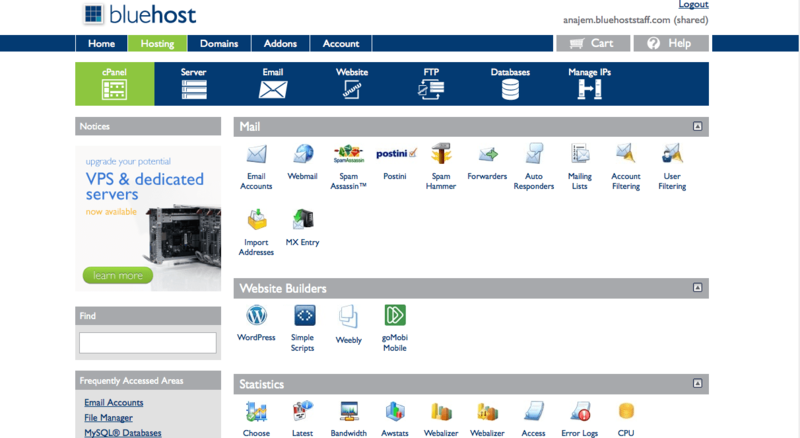 Log in to your new Bluehost account and go to your dashboard to find the “Install WordPress” button. 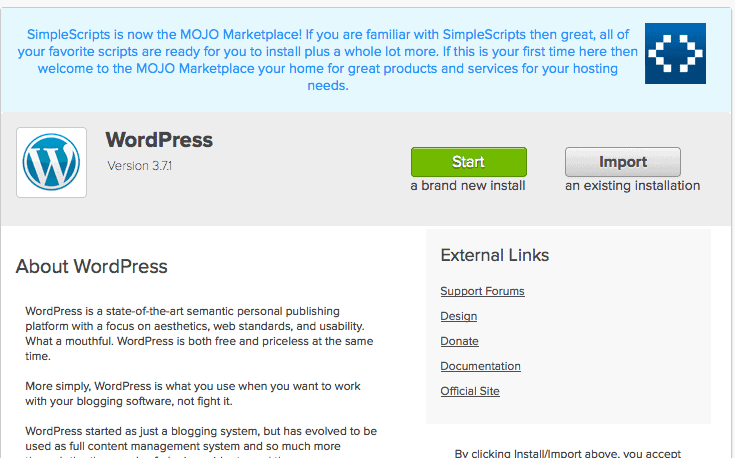 This will take you to MOJO Marketplace where you’ll start the download process. 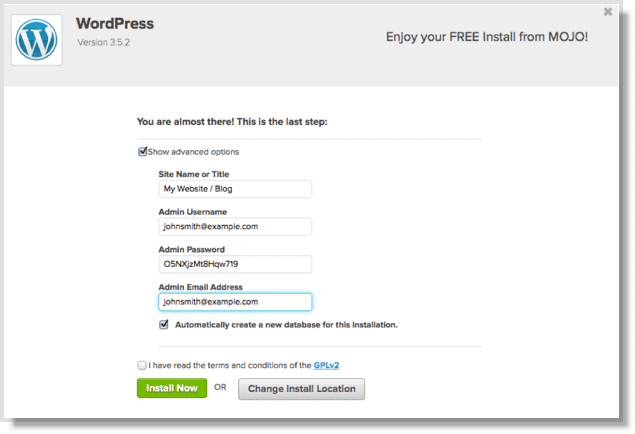 Once you’ve clicked “Start”, you’ll need to select the domain you are installing WordPress on and hit “Check Domain”. Then- voila – the installation will begin! Let me know if you have any questions and then get started by searching for a domain name below! Now that you have your blog, check out all my blogging resources to make it super amazing!